Registering for VAT has always been something of a confusing matter to many business owners; some businesses have to register for it, whereas other business aren’t forced to but will register for VAT regardless. Registering for VAT is actually quite simple, as are the rules involved; the difficult part is deciding whether you should register for VAT. If your business is making £85,000 in profit, you have to register for VAT. You don’t get a choice in the matter, it’s simply a legal requirement to do so. If you’re earning less than this threshold, you can still volunteer to register for VAT. This provides you with the same benefits and drawbacks of VAT, however it isn’t a legal requirement to register and therefore you aren’t forced to. So, if you were given the option, why would you register for VAT? What benefits are there that you might be missing out on as a non-VAT business? When you’re registered for VAT, you’re allowed to claim expenses on any VAT prices you have to pay out for your business. This applies to anything that your business purchases; petrol, stationary, food, etc. If it has a VAT price and could be claimed as an expense for your business, you’ll be able to claim on the VAT as well. If you’re providing a service rather than a product, you’re quite likely to work with other businesses as well as regular customers. Many businesses prefer to work with VAT registered partners for the same reason as above, it means they’re able to claim expenses on the VAT you charge them. This doesn’t affect the price to which you sell them your services, however it ends up being cheaper for them as they can claim a larger portion of it back. Making Tax Digital, or MTD, is a scheme devised by HMRC to eliminate paper tax returns and digitalise the entire process. 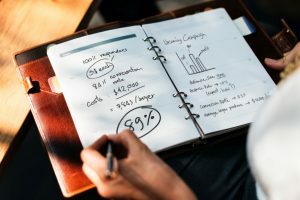 In 2019, any business registered for VAT will have to abide by the rules for MTD, however it’s quite likely that every business will have to do the same in the following years. If you’re registered for VAT, you’re preparing yourself for MTD as VAT returns and the tax returns required for MTD and extremely similar. It will give you some breathing room and allow you to prepare for a big change in the way we file our tax returns. For every pro there has to be a con, and VAT registration is no exception. Fortunately, there are simple solutions to the cons of VAT registration which we’ll cover later in the post. Remember that I said registering for VAT will prepare you for MTD? This is because both schemes require you to fill out your tax returns on a quarterly basis, essentially quadrupling the amount of work you have to do when it comes to tax returns. This may be the way we’re heading if MTD becomes commonplace for all businesses, however some business owners would rather put this off until it becomes an absolute necessity. You’ll have to increase your prices by at least 20%. You’ll reduce your profit by including your VAT in your original price. If you increase your prices to accommodate for VAT, you might alienate some regular customers who have been paying the same price for your services for a long time. If you’re planning to include your VAT within your existing price, you’ll keep your customers happy but you’ll see a drop in profits as you’re now being taxed more on this. It’s a decision you will have to make (most business owners opt to increase their prices by 20%) if you’re planning on registering for VAT. As mentioned earlier, there is a solution to the downsides of registering for VAT. All the nuisances and stress that can be caused from VAT registration can be avoided by hiring an online accountant. You won’t have to worry about quarterly tax returns as your accountant will complete them for you (a Zooconomics accountant will even do your first VAT return for free!). They will simply need any VAT you have either received or produced during the last quarter and they’ll get to work on filing your VAT return. As for the change in your profits, your accountant will be able to save you money in other areas and expenses so that your profits don’t take a hit when you take your VAT into account. They’ll be able to advise you on the best situation for your business and whether you’ll want to add your VAT on top of your existing price, include them into your current price, or a combination of both.